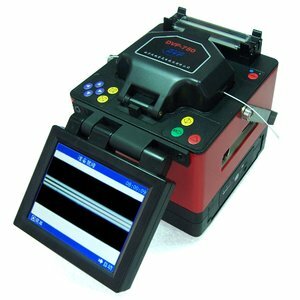 Active V-Groove clad alignment fusion splicer for SM, MM, DS, NZDS optical fibers. Splice time: quick mode - 7 sec / auto mode - 9 sec, heating time: 30 sec. 5-inch high-resolution color LCD touch screen. 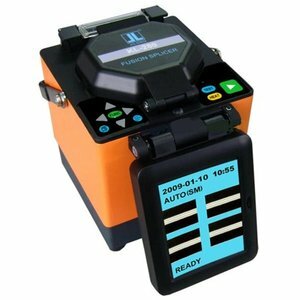 Core-to-core alignment system fusion splicer for SM, MM, DS, NZDS(G655), EDF and other fibers. 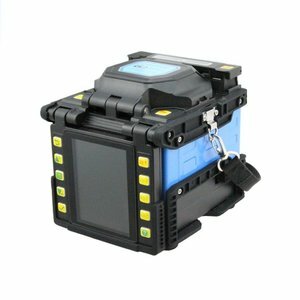 Splicing time: 8 s, heating time: 35 s.
Single mode and multi mode fiber optic cables and easy to use. Auto and manual splicing method. USB interface. 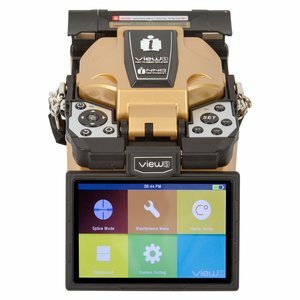 Fast, precision, durable and portable handheld fusion splicer that can work with any type of fiber-optic communication lines. 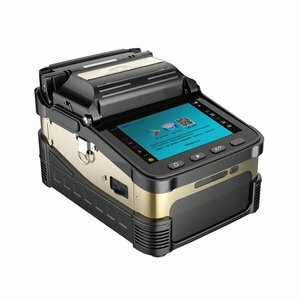 Latest model in the Nanjing Jilong line of fusion splicers, which can work with any type of fiber-optic communication lines. 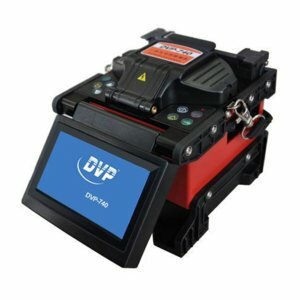 More reliable, lighter, and simple to operate. 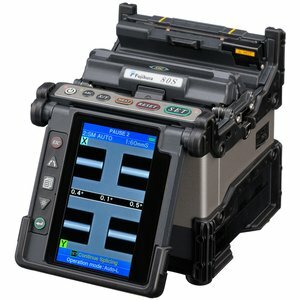 Automatic fusion splicer for optic fiber splicing with core fiber alignment. Splicing time: 9 s, heating time: 30 s.
Core-to-core alignment single fiber splicer designed for splicing SM, MM, DSF, NZDSF optical fibers. Splicing time: 6 s, heating time: 9 s. Includes Fujikura CT-30A Fiber Optic Cleaver. 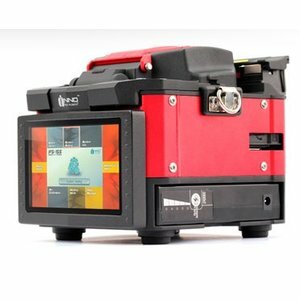 Core-to-core alignment single fiber splicer designed for splicing SM, MM, DSF, NZDSF optical fibers. Splicing time: 6 s, heating time: 9 s. Includes Fujikura CT-08A Fiber Optic Cleaver. 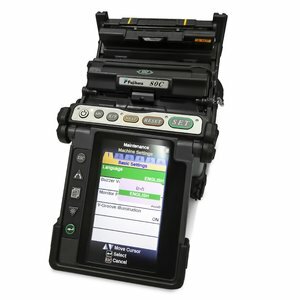 Direct core monitoring fusion splicer for ultra fast splicing in every environment. 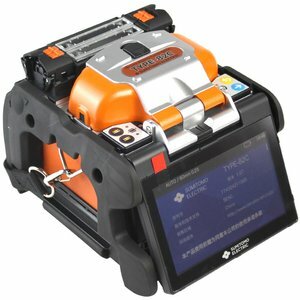 Splicing time: 5 s, heating time: 9 s.
Core-to-core alignment single fiber splicer designed for splicing single-count optical fibers: SM (G.652/657), MM (G.651), DSF (G.653), NZDSF (G.655) for telecommunication use, PON/FTTx networks, etc. 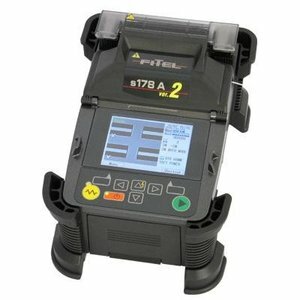 Splicing time: 7 s, heating time: 14 s.
Powerful tool for splicing any fiber optic cable. 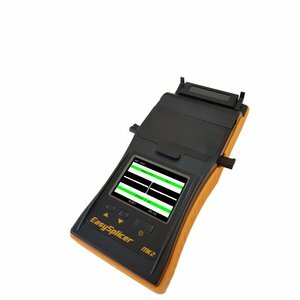 Automatic identification of fiber type and splicing mode. Core-to-Core alignment system. 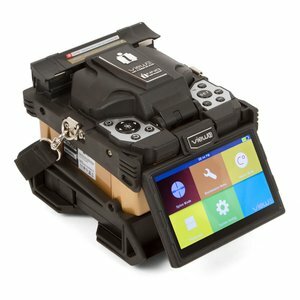 Fully robust fusion splicer for ribbon optical fibre. Features an automated wind protector and a tube heater which has been developed for quicker ribbon splicing cycles. 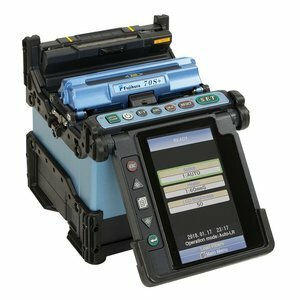 Core-alignment fusion splicer is compatible with a wide range of cables which are popular in FTTx. Splicing time: 7 s. Heating time: 35 s.
Ultra fast splicing (7 sec.) in every environment. Fiber types: SMF, MMF, DSF, NZDSF. Cladding diameter: 80 µm ~ 150 µm, Coating diameter: 100 µm ~ 1,000 µm. 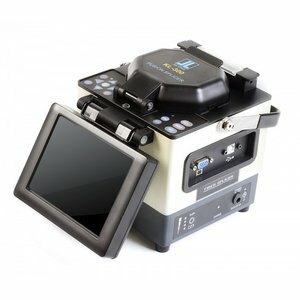 Core-to-core alignment fusion splicer for SM, MM, DS, NZDS optical fibers. Splice time: quick mode - 7 sec / auto mode - 8 sec, heating time: 13 sec. Ultra-high capacity battery. Core-to-core alignment fusion splicer for SM, MM, DS, NZDS optical fibers. Splice time: quick mode - 7 sec / auto mode - 9 sec, heating time: 13 sec. 5-inch high-resolution color LCD touch screen. 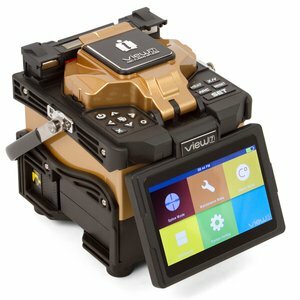 V-groove cladding alignment fusion splicer for SM and MM optical fibers. Splice time: 7 sec, heating time: 35 sec. 2,8-inch color LCD. 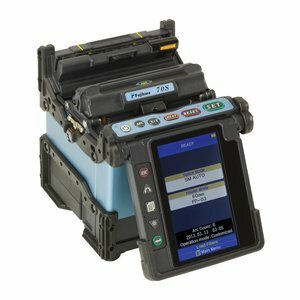 Core-to-core alignment single fiber splicer for single-count optical fibers: SM (G.652/657), MM (G.651), DSF (G.653), NZDSF (G.655) for telecommunication use, PON/FTTx networks, etc. 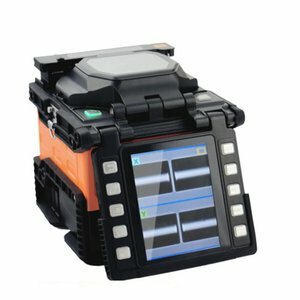 Splicing time: 6 s, heating time: 9 s.
Core-to-core alignment single fiber splicer designed for splicing single-count optical fibers for telecommunication use, PON/FTTx networks, etc. 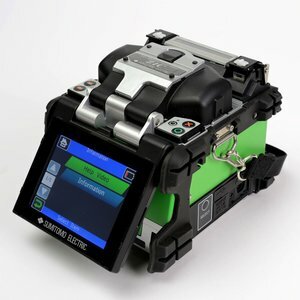 Splicing time: 6 s, heating time: 9 s.
Core-to-core alignment single fiber splicer designed for splicing single-count optical fibers. 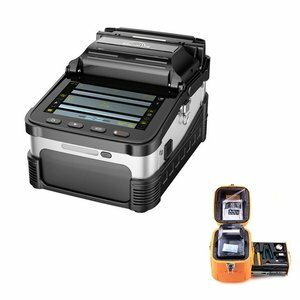 Splicing time: 8 s, heating time: 18 s.
Core-to-core alignment single fiber splicer designed for splicing single-count optical fibers. Splicing time: 6 s, heating time: 15 s.
Active V-Groove clad alignment fusion splicer for SM, MM, DS, NZ/NZDS, BI optical fibers. 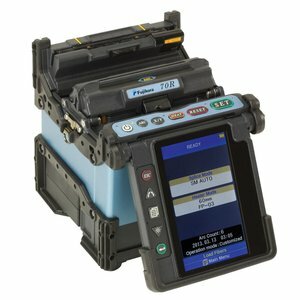 Splice time: 6 s, heating time: 12 s.
Core-to-core alignment single fiber splicer designed for splicing single-count optical fibers for telecommunication use, PON/FTTx networks, etc. Splicing time: 6 s, heating time: 9 s. Includes Fujikura CT-08A Fiber Optic Cleaver.